Seven processionals or recessionals for weddings, each with a version for pedal harp and for lever harp Jubilation (Fackler), Trumpet Tune (Purcell), Andante Largo from Voluntaries, Set II (John Stanley), Trumpet March (Clarke), March Napolitaine (Bochsa), Jupiter (Holst) and Pavane (Wachs). Often brides want something that's a little bit different from what they think everyone else uses. These seven pieces offer just that kind of option. 44 pages including cover art. This festive piece composed for harp by a harpist may be used as a wedding processional, recessional or as a solo. Offered in two keys, D and G (and two versions) to fit pedal harp and all small harps and to allow pairing with commonly requested pieces used in wedding processionals. 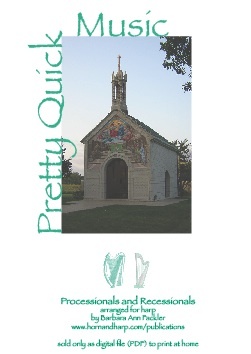 It begins with a fanfare introduction followed by three themes offering plenty of material for a lengthy processional or filling time. 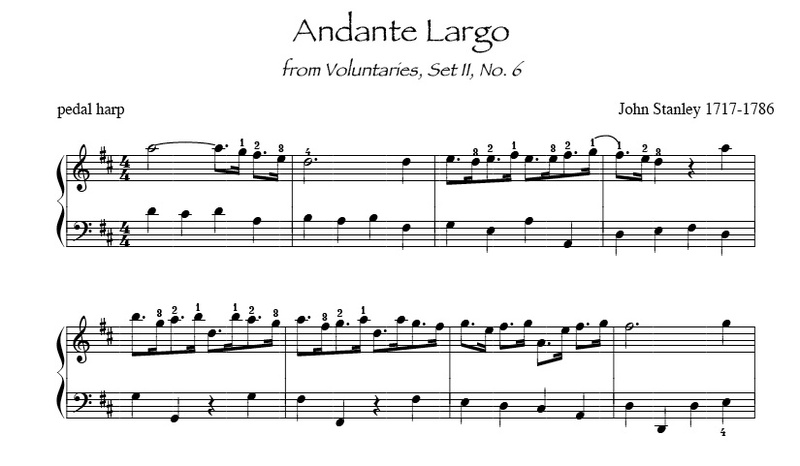 No accidentals, but requires facility with octaves, fifths and sixths. Version I (less complex LH) is easier than Version II, both work with the optional obligato. Over 2 minutes long played as written, adaptable to different lengths by altering which repeats to take. 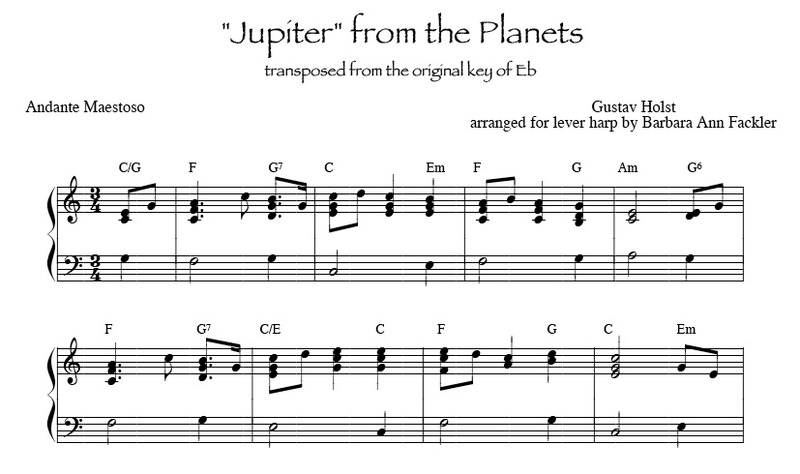 To get free sheet music for the (optional) violin or flute obligato for Jubilation, visit Gail Salvatori's website. 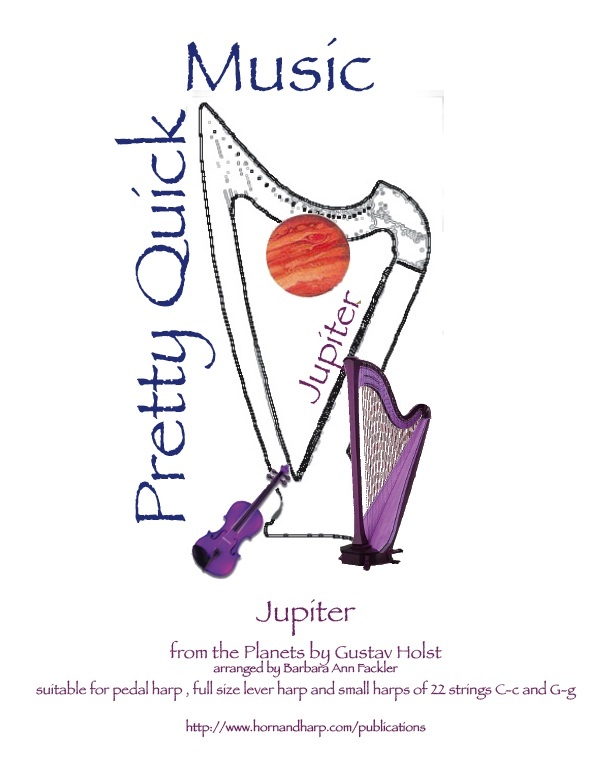 This very popular piece works easily for pedal harp or small lever harps. Played in the original key of D, it's easy to add trumpet or horn. Two versions are included, one with levers marked and one without levers marked. Some fingerings are included. Click image for larger view. 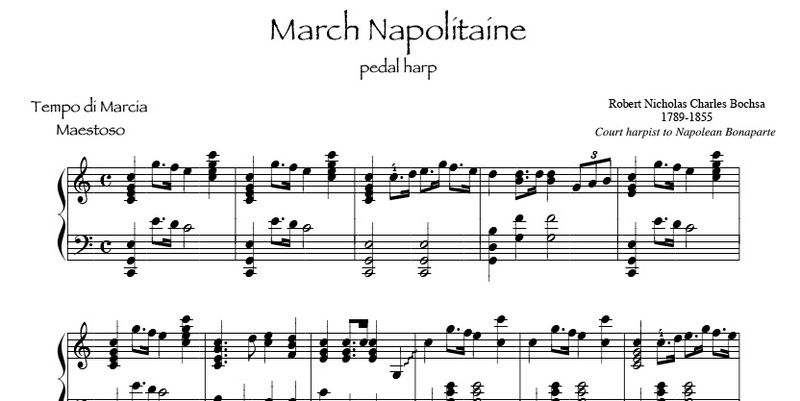 It's always nice to offer music written for harp by a harpist and here's another piece that fits that category, composed by the court harpist to Napoliane Bonaparte. 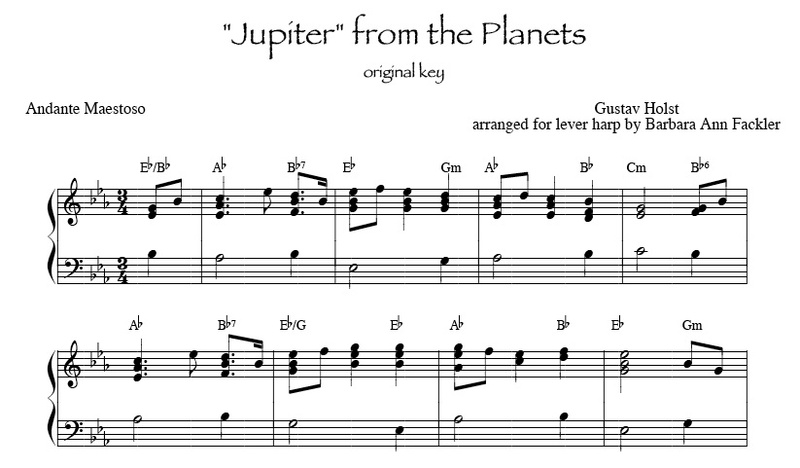 This is offered only in its original key of C with separate parts for pedal harp, 5 octave lever harp and edited carefully for 22 string lever harp (C-c).